This might be the smartest smoke alarm out there—but its high-tech bells and whistles cost a pretty penny. After living under the regime of a Kidde smoke detector that constantly went off for steam (but never for smoke), I jumped at the chance to try out the Nest Protect smoke and carbon monoxide alarm. Aside from some user-generated fails during setup, I was happy to discover the Nest Protect lived up to the hype. 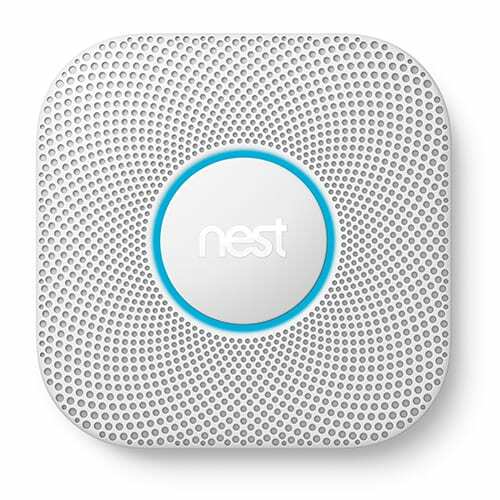 Here’s a look at what you can expect when you receive your Nest Protect smoke alarm. I’ve never seen a smoke alarm with as many features as the Nest Protect. In addition to detecting smoke and carbon monoxide, this smart device can tell when you enter a room and when you turn out the lights (and that’s just the tip of the iceberg). Plus, it’s better at ignoring steam than any other smoke alarm I’ve had in my house. While I like all the bells and whistles, it could be too much for someone who just wants straightforward fire and smoke protection. You’ll need to determine how important advanced features are before committing to the Nest Protect. I have an automatic cringe response when I hear a fire alarm go off—and my dog’s response is even worse. Nest Protect uses a calm, friendly voice to tell you what’s up before you get a screaming siren in your ear. The Nest lets you know what it detects (smoke, CO2) and in which room. If it’s not an actual emergency (burned dinner, anyone?) you can turn off the alarm before it sounds. If you have more than one Nest Protect, each one will give the alert so that everyone in the house is warned. When you combine your Nest Protect with other Nest products you increase the level of protection. If you add a Nest thermostat, it can shut down the HVAC system when smoke or CO2 is detected to help prevent the threat from spreading. When you add a Nest Cam, it will start recording when the alarm sounds, giving you video clips of what is happening. It can also be combined with other smart products, like Amazon Alexa, which lets you control Nest Protect with your voice. Nest Protect requires you to use the Nest app, which requires a compatible device. It doesn’t have to be a smartphone—it could be a computer, smart TV, tablet, or smart wearable (like a watch). But from my experience, you get the full benefit (mobile alerts, etc.) 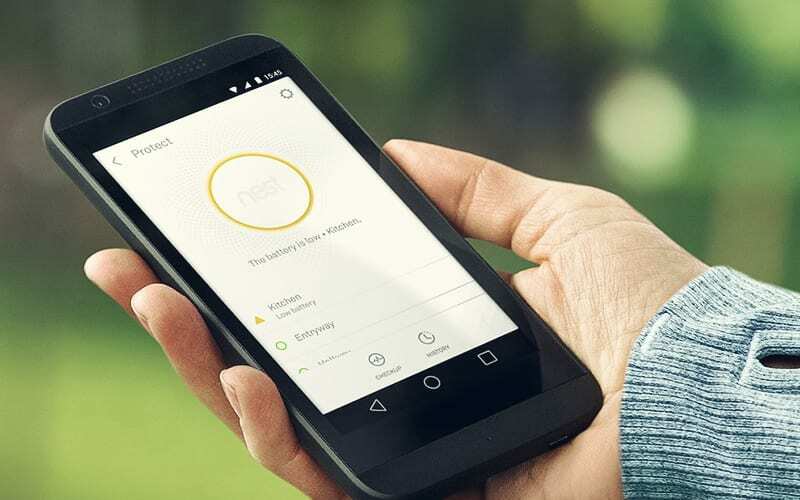 of Nest Protect when you use it with a smartphone. Folks who are intimidated by technology (like my parents) may be put off by the app requirement to use the Nest Protect. Nest Protect is sleek and attractive, which is something I never imagined I’d say about a smoke alarm. Its bright white color is clean and fresh, and it adds to your home’s aesthetic in a way traditional smoke detectors never could. It is a bit larger than your average smoke alarm, so that’s something to keep in mind when planning where to install it. I’ve always considered smoke alarms a necessary evil from a home decor perspective. But Nest Protect is changing my mind. Because the design is modern and sleek, I was actually excited to install it. And I have to admit I felt a little twinge of pride that my ceiling got to be home to this cutting-edge device. Light is another way the Nest Protect communicates. The light ring changes color to let you know at a glance what’s happening. When you turn out the lights you get a green glow (the “Nightly Promise”) that indicates everything is working and you won’t have to worry about late night chirps due to low batteries. The light also works as a motion-sensitive night-light, emitting a soft, white glow if you have a midnight craving for something sweet. Yellow is the Nest’s Heads-Up warning, and it shows up for minor things like burned toast. When the light turns red, it means your burned toast has now set your toaster on fire, and indicates more immediate danger. It precedes the traditional siren. There’s a reason I gave Nest Protect five stars for design—from the packaging to the final product, it’s hard to find a flaw in this smart gadget’s design. This is one instance where I don’t have any suggestions to make the Nest Protect better. I was relieved to discover how easy it was to get the Nest Protect up and running. Overall, it was a simple process, but I made one mistake that threw it all into a tailspin: when prompted to set a language, I responded too late and ended up with a Nest Protect that spoke only Spanish. It took 24 hours, several visits to online support forums, resetting the device, and restarting the app to finally hear that calm Nest voice speaking English. All you have to do to get Nest Protect up and working is download the app, scan the QR code on the back of the device, and follow the voice prompts. Be warned, though—those voice prompts start immediately. The first task is to push the button to set the language. Because I had just scanned the code, I was looking for a button on the back. Don’t do that—turn it over, use the big button, and start enjoying your Nest Protect immediately. It’s that simple. You can test the siren or set the language during initial setup by simply hitting the big round button on the front of the Nest Protect. Now that I know the button is on the front—not on the back near the QR code—I really like how accessible and easy it is to use. My old smoke alarm had to be wrenched from the ceiling and taken apart to stop the siren during a false alarm. But all it takes is a little tap on Nest Protect’s big button, and peace is instantly restored. The Nest app is well designed and easy to use. Whether you want to check the status of your Nest Protect devices or create an emergency escape plan, this app makes it simple. Best of all, the app is accessible across multiple devices and with different users without having to set up multiple profiles. I found the initial setup of the language confusing and got only more befuddled trying to fix it. There is a “Spoken Language” setting in the app, but it didn’t show up until about an hour after I installed the app. From reading online forums, others have had this same glitch. I’d like to see this glitch taken care of for future customers. Another easy solution would be a confirmation that you chose the correct language during setup. That way, if you made a mistake, you could easily correct it and move on. The thing I like most about Nest Protect alerts is the Heads-Up feature. This warns you that something might be going awry so you can investigate and cancel the alarm if it’s just a small kitchen mishap. I also like that Nest Protect uses a traditional siren, voice alerts, light signals, and mobile alerts to keep you in the loop. Most smoke alarms use only a siren or chirp to alert you to danger or low batteries. Nest Protect uses four different methods to keep you in the know about your home’s safety. There’s the traditional siren, which only goes off after a voice warning and verification of real danger. Voice alerts are used when an alarm is triggered, during self-checks, or when you manually test the device. The built-in light ring changes colors to let you know if everything is okay or whether there’s an emergency brewing. Plus, you get mobile alerts when any of these others are activated. You can check the activity of your Nest Protect over the last ten days or month via two different ways. In the app, select your device and hit the “History” icon at the bottom of the screen. That will give you a report detailing what occurred over the past ten days. Each day will have a color bar and message indicating what happened. Red indicates a full-on alert, yellow a Heads-Up situation, and green means everything’s okay. Nest also emails a monthly Home Report that includes a summary of any action your Nest Protect saw, plus tips to help keep your home safe. Customers have reported inconsistent results when they try to manually silence the alarm. I had no trouble silencing mine, but others have encountered problems where the alarm keeps repeating “smoke in the kitchen” or blaring the siren for up to twenty minutes. If you have little ones or pets that are highly sensitive to alarms, this could make the Nest Protect less appealing. This is definitely Nest Protect’s biggest downfall, especially if you want to install multiple units. The list price for Nest Protect is $119 for a single smoke detector, $329 for a 3-pack, or $614 for a 6-pack. That’s pretty steep when you can find other smart smoke alarms on Amazon for around $40. You don’t want to skimp on a smoke alarm, but the investment required for Nest Protect is significantly higher than the industry average. The good news is you can download the Nest app for free, and there are no extra fees for history reports or mobile alerts. You get real-time access to your Nest Protect’s status, plus up to ten days of history. One of the app’s best features is the ability to hush the alarm from no matter where you are. I liked that I could save my dog from the stress of an alarm all the way across town. Because it’s rare to need only one smoke detector, we’d like to see Nest give a better discount when you buy multiples. Right now you save just $28 when you pick up a 3-pack. The 6-pack is a better deal, with a savings of $100, but we think it would be easier for people to upgrade to the Nest Protect if the price point were a little more accessible. What is a Split-Spectrum Sensor? This is a Nest-designed sensor that detects both flaming and smoldering fires. Most fire alarms detect only one or the other. To make the Split-Spectrum Sensor, Nest enhanced a traditional infrared photoelectric sensor with a blue LED sensor. Together, these sensors detect a broader range of particle sizes, which helps the sensor detect smoke from both types of fires. Do I need a smartphone to use Nest Protect? No. Nest Protect is set up and controlled by the Nest app, but the app is available on multiple devices including smartphones, tablets, computers, smart TVs, or smart wearables (like an Apple Watch). While you can use Nest Protect with a computer or smart TV, you won’t be able to use features like mobile alerts unless you have a compatible mobile device like a smartphone or smart wearable. You can find a list of all compatible devices on the Nest website. Can I manage Nest Protect smoke alarms in more than one home at a time? You can add up to three homes to your account in the Nest app. This allows you to manage all Nest Protect smoke alarms in each home without needing to set up a new app. You can give homes different names to help keep track of them. Be sure to assign each Nest Protect alarm to the correct home to ensure proper management of your devices. You can also add up to nine additional people to each home so they can share in alerts and other features. Will my Nest Protect alarm work if the internet goes down? If your home Wi-Fi network goes down, the physical Nest Protect device will still detect and sound the alarm in the event of fire or CO2 danger, but you will not receive mobile updates and alerts if the Nest Protect is not connected to the internet. If you have multiple Nest Protect alarms, they will remain interconnected if the Wi-Fi connection is lost. Will my Nest Protect alarm work with my existing smoke and carbon monoxide detectors? Nest Protect is only compatible with other smoke alarms made by Nest. Because all smoke alarms use proprietary detection technology and there is no industry standard for detection interfaces and algorithms, there’s no way to know how reliable smoke alarms will be if connected to detectors from another manufacturer. In fact, the National Fire Protection Association (NFPA) doesn’t allow smoke alarms from different companies to be connected unless they undergo special testing. *Check out all of our favorite smart thermostats and security cameras. I set up the Nest Protect in my kitchen, which was previously guarded by a Kidde smoke detector that went off every time I boiled anything. I wanted to see if the Nest was smart enough to tell steam from smoke (it was). Because I didn’t want to endanger my home or any of its occupants, I didn’t get to experience the alarm detecting smoke or high levels of carbon monoxide. ** But I did run it through its self-tests to see how well it responded to remote hush and manual silencing. Thanks to my user error during the language setup, I was also able to troubleshoot and solve a problem with the settings. **In my research I found that the Nest Protect was one of the only smart smoke detectors to pass all smoke alert tests conducted by other testers. 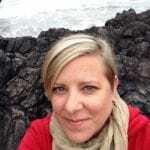 I paid special attention to the following criteria: features, design, ease of use, alerts, and cost. 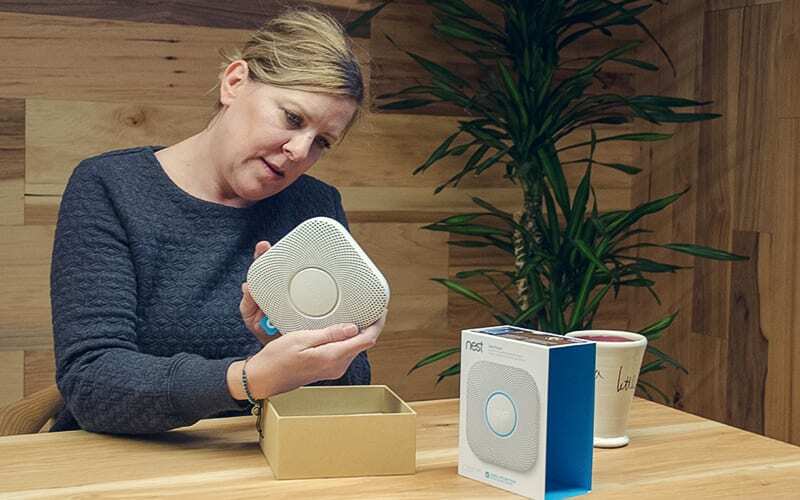 I looked at the primary features people want in a smart smoke and carbon monoxide detector and compared those to what the Nest Protect offers. I also evaluated how well the Nest Protect executed each feature. I considered the Nest Protect’s style and function in comparison to other smart smoke detectors. I scrutinized every step of the setup and installation process—from opening the box and downloading the app to installing the Nest Protect in my kitchen. I examined every type of alert the Nest Protect offers, including voice, light, siren, and mobile. I looked at the cost of the Nest Protect in comparison to other smoke detectors on the market, from basic models to other smart smoke alarms. Nest Protect is far and away the smartest and most attractive smoke alarm I’ve ever seen. The mobile alerts and Heads-Up warnings save you dealing with false alarms and provide extra reassurance that your home is safe. It’s easy to use and simple to set up—so what’s not to love? A big price tag and high-tech requirements are this product’s major downfalls. Both can make Nest Protect seem like an exclusive product, which appeals to early adopters but can alienate other consumers with different priorities.